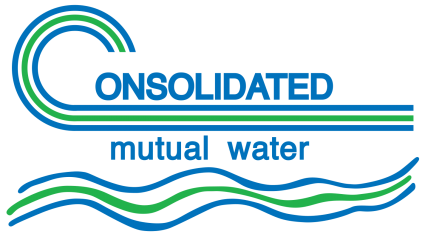 Consolidated Mutual Water Company offers the convenience of paying your water bill online, either with a credit card or direct electronic funds transfer from your bank account, through our third-party payment processor, JetPay. JetPay is compliant with the Payment Card Industry Data Security Standard and is a secure payment choice for our customers. Please note that JetPay charges a convenience fee to you when paying with a credit card. Payments made with a credit or debit card will result in the addition of either a $2.00 minimum charge or 2.45% of the total water bill, whichever is greater. This fee is charged and collected by JetPay for payment services. However, there are no added fees charged when paying with your checking account. Click here or the “Pay Your Bill Online” button above to make a one-time payment, or to set up the convenience of recurring, automated payments. Pay your bill 24 hours a day, seven days a week. Payment options include using your checking account or a major credit card. If you simply wish to drop off your payment, you may take advantage of our convenient drive-up payment drop box located outside in the northeast corner of the parking lot. Monthly Billing Going Into Effect February 1, 2019! For decades The Consolidated Mutual Water Company has billed customers every two months because we had to visit every customer’s property to read the water meter. Now that we have updated our meter technology, we read meters from our main office and don’t have to visit your property. If you have questions or need assistance email us at ConsumerServices@CMWC.net, use our contact form, or call us at 303-238-0451. Be Advised: Billing disputes that result in a credit hold or chargeback of funds are considered non-payment and may cause the assessment of penalties – as defined in the Company’s payment responsibility and delinquency policies.